After a fun-packed day exploring the Resort, why not head to the Temple Restaurant where you'll find a range of delicious meals and desserts that will satisfy everyone's cravings! You can add this onto your packages through our extras page. If you need information on our menus, please see our sample menu. The Temple Restaurant is located in the Chessington Resort Hotel. 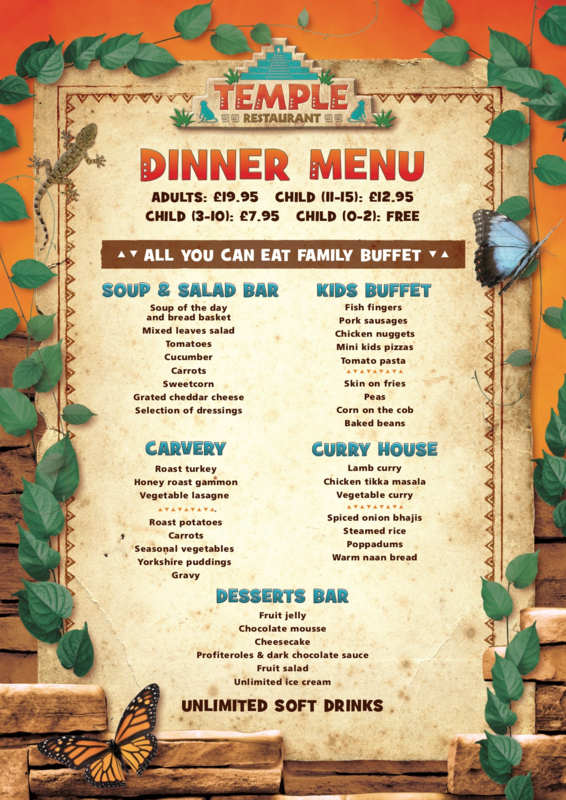 The Temple Restaurant may be closed on off-peak days, should this happen, guests are welcome to dine in the Zafari Restaurant located in the Chessington Resort Hotel at the same price as the Temple Restaurant add-on. Guests can then choose from the set menu.